A balanced B-complex providing B vitamins alongside their methylated and phosphorylated forms. These ‘co-enzyme’ forms of the essential nutrients are available in a format that are a step further down the metabolic pathway. This format means the essential nutrients are more easily utilised by the body, which is particularly important for those with certain genetic polymorphisms. Vitamins B1, B2, B3, B5, B6 and B12 all contribute to normal energy production and help reduce tiredness and fatigue. Vitamin C (as magnesium ascorbate), Magnesium (as ascorbate and oxide), Choline (as bitartrate), Vitamin B1 (as thiamine HCL), Vitamin B5 (as calcium d-pantothenate), Vitamin B6 and Co-enzyme B6 (as pyridoxine HCL and pyridoxal-5-phosphate 5:1), Vitamin B2 and Co-enzyme B2 (as riboflavin and riboflavin-5-phosphate 5:1), Vitamin B3 and Co-enzyme B3 (as nicotinamide and NADH 5:1), Inositol, Co-enzyme Q10, Vitamin B12 and Co-enzyme B12 (as Adenosylcobalamin and Methylcobalamin 1:1), Biotin, Folate (as 5-methyltetrahydrofolate), in a base of alfalfa, spirulina and bilberry; Vegan Capsule. 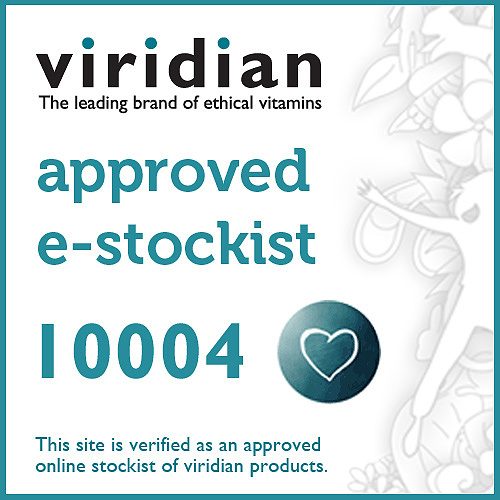 As a food supplement, take one capsule daily with food or as recommended by your healthcare practitioner. This is a food supplement. Not to be used as a substitute for a varied diet and lifestyle. 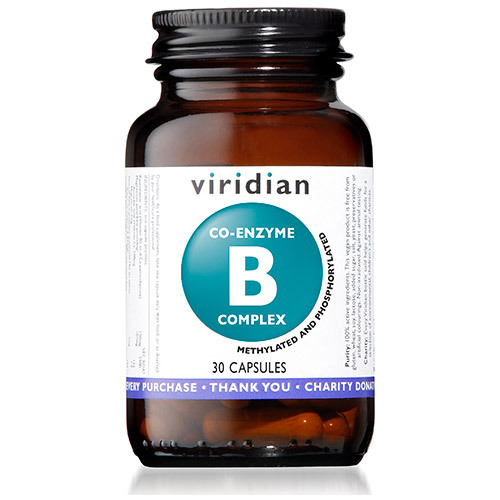 Below are reviews of Viridian Co-Enzyme B Complex - 30 Capsules by bodykind customers. If you have tried this product we'd love to hear what you think so please leave a review.